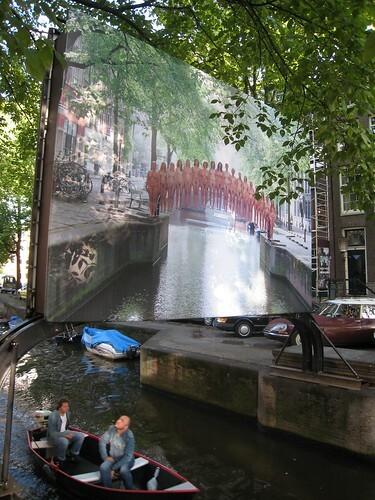 I have been in A’dam for a year now and am just about ready to pick up a canal boat. 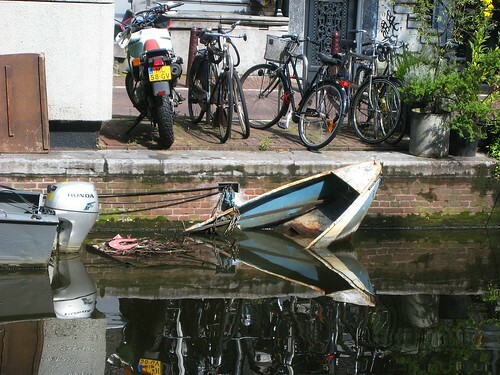 I hear there are auctions put on by the city of Amsterdam to sell off the sunken boats that have been retrieved from the bottom of the canal? I was wondering if this were true, and if so, would you please direct me to where I can get more info about such an auction? The City of Amsterdam is cracking down on people who don’t pay their bootje-taxes (binnenhavengeld). 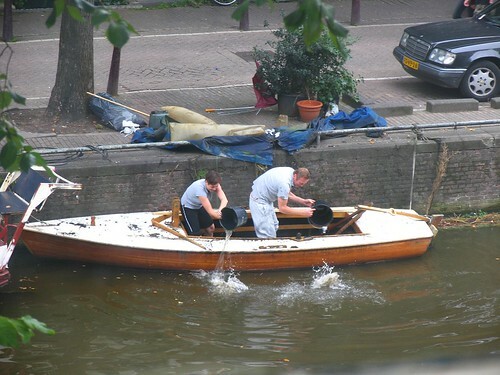 If they spot your bootje without the compulsory sticker, they will tow your boat away and it will end up right here. Supposedly you can pick up great bargains at these auctions, I am curious to know if that is indeed the case. 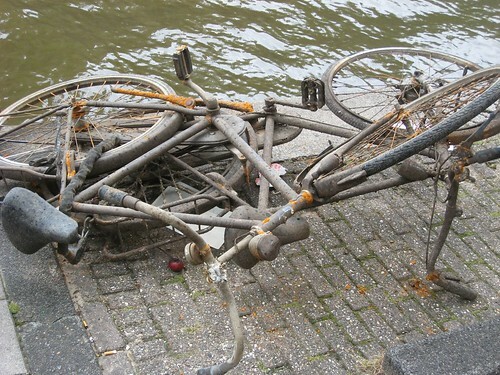 This is what your typical Amsterdam bike looks like after spending some time in our great canals. I kinda like the stillness of the water in this one, gives a nice mirror effect. The artwork is by Spencer Tunick. He made this for Dream Amsterdam. The preparations of the Prinsengrachtconcert are in full swing. 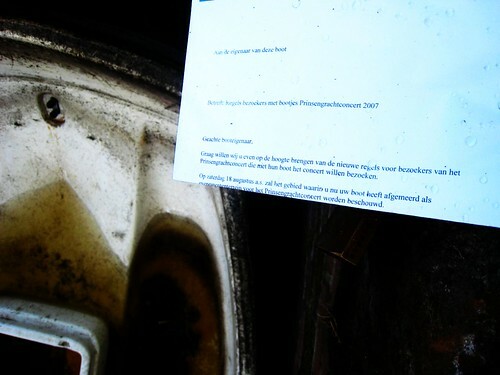 The note says that the owner has to move his bootje before saturday. There were dozens of these notes hanging from bootjes here. If your bootje is near the concert site, better get there in time, or you’re gonna be in trouble. If you ever have the chance to see Michel van Erp’s hilarious Pretpark Nederland, don’t miss it. There’s some great scenes in there in which some bourgeois Amsterdam bootje-owners are getting into nasty fights about who gets the best spot.